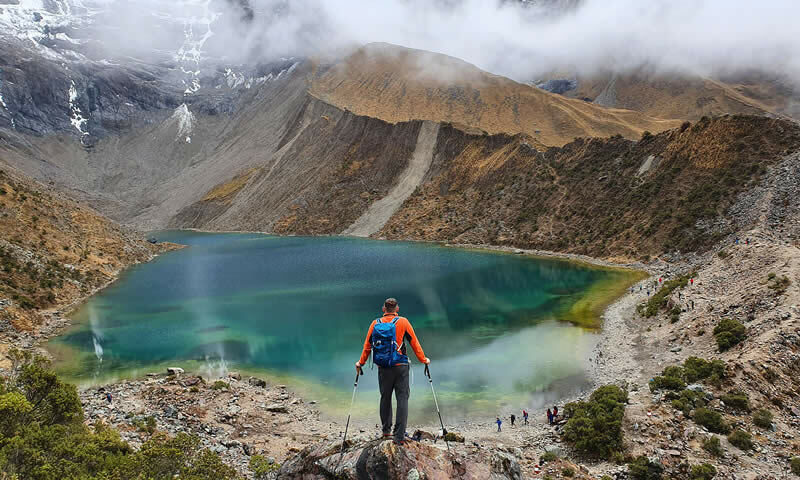 This tour to the Laguna de Humantay is ideal for those nature lovers who do not have much time and want to experience a landscape with exotic flora and fauna. After picking up all the passengers from their hotels at 5am, we will leave the city of Cusco and have about a 2 hour car ride, until we get to the town of Mollepata, where we will have breakfast. After the breakfast we will drive for about one more hour to Soraypampa. This is where we will start our trek to reach the Laguna de Humantay. During the walk we will see ideal landscapes to take pictures, once we arrive at the Lagoon we will get a short introduction about the story of the lagoon. After that we have free time to experience and explore the landscape surrounded by the mountains. After explorig, we will hike back down to our car, which will take us about 40 minutes. We will get back in the car and driver for about an hour to Soraypampa, the same place we had breakfast, we will have lunch. After lunch we will drive back to Cusco, we will be back in Cusco at about 6/7 pm. How much the Humantay lake tour will cost?